The Ida Noyes Hall Dance Room reopened last Wednesday with a new floor after two months of partial closure and renovation. Administrators closed the room in November after a student was injured while dancing on the old floor. “It’s a tremendous improvement,” said fourth-year Persephone Ma, who is president of the Dance Council and executive director of the RSO University Ballet. In the past, multiple dance RSOs had lobbied for better maintenance of the floor, which had an uneven surface caused by holes and bubbles in the ‘marley,’ a term used to describe the performance dance surface that sits on top of the floor itself. Over winter break, the marley and wood floor were demolished and new floor components were put in. A new dehumidifier system was also installed to combat the moisture problems that had contributed to the damage, according to University spokesperson Jeremy Manier. The floor is currently partially covered by temporary marley taken from Mandel Hall, but the permanent marley is set to arrive later in the month. To minimize disruption to dance groups, it will be installed when the room would not otherwise be occupied, Manier said. “I’m really happy with everything [the administration] has been doing,” Ma said. The room was closed for a week in November while safety inspectors came to examine the damage. For the rest of the quarter, the middle third of the room was blocked off and dance groups used the space around it. “It wasn’t ideal,” said third-year Shir Yehoshua, technical director of Dance Council and co-director of Maya, a dance RSO on campus. “ORCSA did a really good job helping us relocate,” she added. 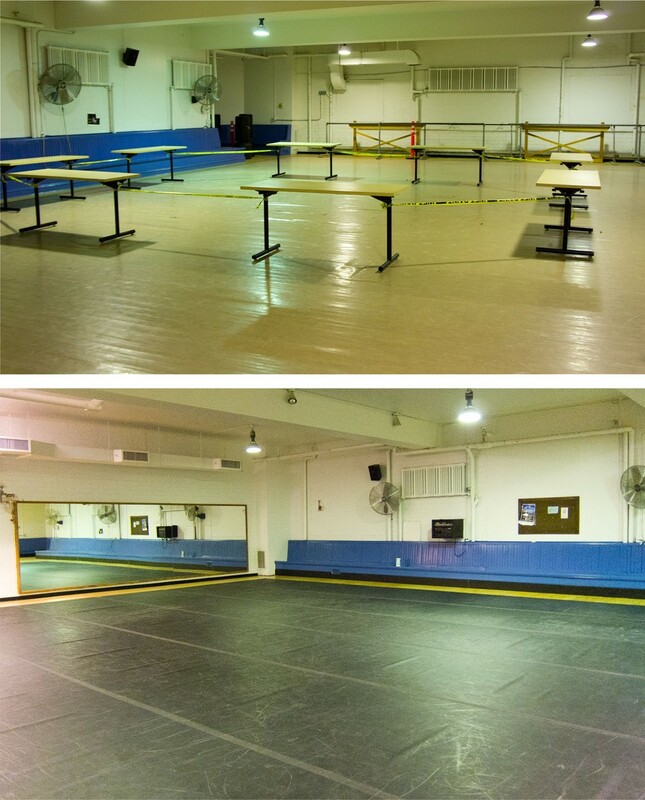 ORCSA found space for dance groups to practice in the Bartlett Arts Rehearsal Space and Ratner Athletics Center. Ma said that she and other dance RSO leaders were regularly updated on the progress of the renovation. The University would not release the cost figures for the project, but Manier said the renovation was completed within its designated budget and on time.